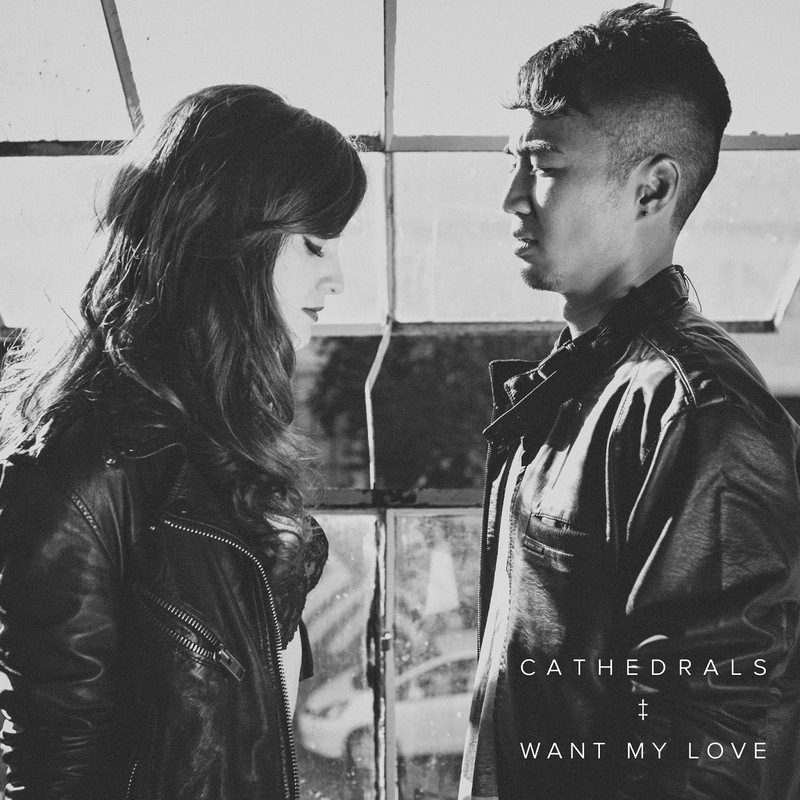 Following their breakthrough single "Unbound" last Autumn, quickly headed up with the indulgent "Harlem", San-Fran duo Cathedrals return with another fine slice of heavenly coated synth-pop. More spacious than their previous efforts the pair take on a soulful journey through the most sensual of emotions with slinky synth notes dancing amongst the track's pulsating basslines and percussion. With Brodie Jenkins' luscious vocal talents encapsulating the space within, her resonating harmonies rush to fill the vast and open soundscape as it's brought to a close on a bubbling hotbed of live instrumentation melted within its electronics. Perpetuated in brilliance the duo look set to have raised the bar to vertigo inducing heights once more. Take a listen above. The much anticipated debut EP is set to follow this Summer.